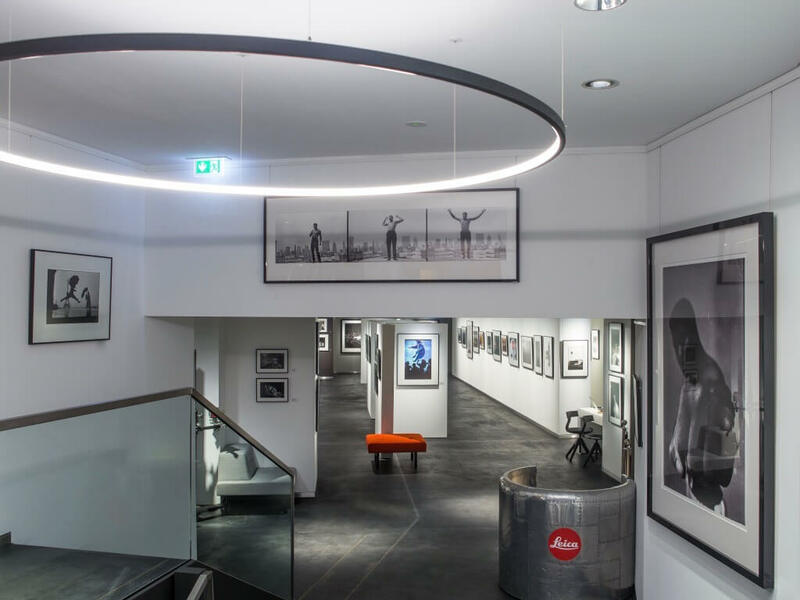 The Leica Store Frankfurt is a place, where the art of imagery is celebrated in all its facets because photography is more than looking at its results and more than the technique itself - it is a combination of skills, talent, society, culture, mechanics and the recipient. Leica Galerie Frankfurt director Qaiser Malik and curator Sonja Kruchen gave Tom from Superior Magazine some insights into the gallery’s concept. The Leica Galerie Frankfurt was opened in November 2004 additionally to the Leica Store. What was the motivation to have a store plus a gallery together? How are both, store and gallery, connected? Well, we started business in 1910 and are now in fourth generation. In the mid and end of the ‘90s the camera business changes a lot and we recognize that you have to modify the direction of business. To build a bridge between manufacture, culture and literature was a long time idea and we felt it was the perfect time to find a location where we have enough space to connect the technical part of making an image and the visual part of seeing the resulting image on the wall and also in books. We not only wanted to support the people with cameras, we wanted to give them another feeling for what it means to photograph and to entertain them. In short words: Full service around photography. There are many Leica galleries around the world. 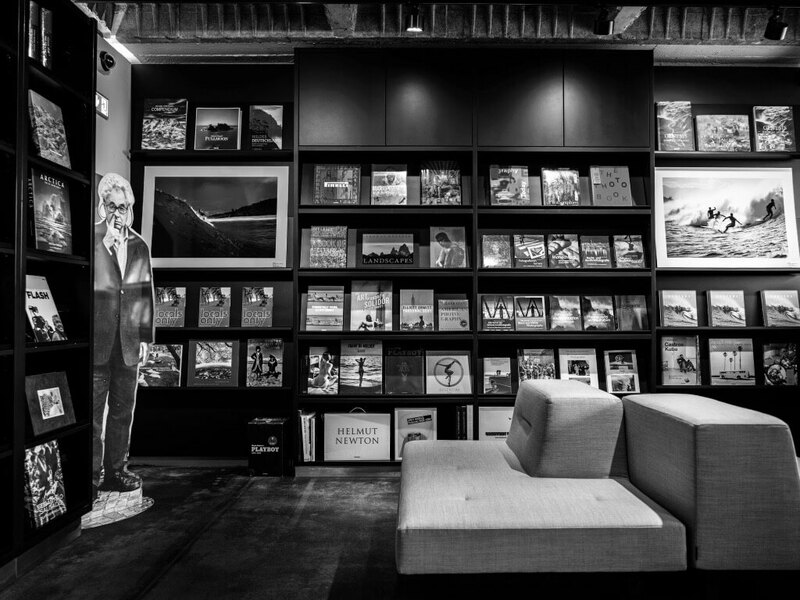 Is there one worldwide program for all Leica galleries or does every gallery its own program? In general every gallery has its own program and can decide what they exhibit. But, there are special exhibitions like the Oskar Barnack Award, which is nearly shown in every gallery ones a year. We have a strong exchange and collaboration during the galleries and come together ones a year. So in the last past we built a huge international network of Leicagalleries. You work with renowned photographers as well as newcomers. How does curation work? Based on which criteria do you choose your collaborations? Leica cameras has a strong inspiration to old master photographers and newcomers. So we are in a comfortable situation to have a very good quality in what we can exhibit. On the one hand we try to show old masters, which are already well none and well established on the market and on the other hand we wanted to give young professionals a chance to show their work. In the gallery we have professional staff, which graduate in history of arts specialist in photography. They choose the exhibitions very carefully and look for different genres. The most reasonable criterion is how good is the image! Then it is also important that the image is telling a story. It should not only be a decoration it should hold a deeper message. The Leica Galerie Frankfurt puts the focus on black and white photography from all over the world. Why do you have this focus? The world is full of colours and our eyes are in a constant processing mode. In the beginning of photography and for the most part the old masters shoot in black and white. In a black and white image the recipient is mote focused on the subject than in coloured images, which are giving more information. But, we also have a lot of wonderful colour images, which have a high quality and are worth to show. You are currently showing fashion- and portrait-photography by Vincent Peters. Can you tell us a bit more about this exhibition? Well, his show enjoys a great popularity. Vincent’s images have a wonderful aesthetic way to show the soul of the women. Although they are more or less naked they never appear exposed. The exhibition is like a tribute to the beauty of the female gender. What can we look forward to seeing in the near future at Leica Galerie Frankfurt? We try to show different kind of genres each year, so after Vincent Peters show we will have a big exhibition of the old master Jürgen Schadeberg. His work is covered about 70 years of documentary photography. We present well none and never seen images from his archive. When it comes to Frankfurt, most people think of business and finances. What would you tell them about the art scene here? Frankfurt is an international turnstile in the heart of Europe. So the city is full of different kind of nationalities, which is reflected in a lot of culture events the city is celebrate around the year. Also Frankfurt has a lot of important museums and galleries, for example the Städel Museum and the Schirn Kunstalle, which are well known beyond the city-boarders. So, you can say that the city is not only well known because of the finance sector, it also is a good place for art and culture.